Israel's Samar sand dunes — and the unique animal species that live there — may be destroyed. NEW YORK (May 26, 2011) — Picture a desert and you'll probably envision rolling hills of sand like those traversed by the nomadic caravans of the Sahara. Yet, even though the majority of Israel is desert, almost none of it is like the Sahara except for a small section near the southern tip of Israel in the Arava Valley: the Samar sand dunes. Originally about five square miles in size, today less than one square mile of the Samar sand dunes remains, in part because of agricultural use, and mostly due to the carting away of the dunes' sand to make concrete. Now most of the last remaining dunes — and the unique species that live in them — are threatened with destruction. But with your help we can save the last remaining dunes of Israel's Sahara. The governmental agency that controls the sand dunes has licensed the rights to the sand to a developer who intends on turning the dunes into concrete for construction in nearby Eilat. The developer already has paid the government a one-million-shekel ($287,000) deposit, and he plans to start mining the sand soon. 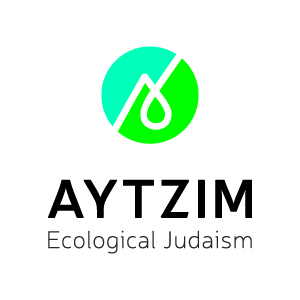 However, thanks to pressure from the Society for the Protection of Nature in Israel and three Green Zionist Alliance sister organizations in Israel — the Green Movement, the Israel Union for Environmental Defense and the Arava Institute for Environmental Studies — the developer is reconsidering whether or not to mine the dunes. If we can show the developer and the government that thousands of Jews around the world care about Israel's environment, and are willing to back up that care with action, we may be able to buy back the mining rights to the dunes — or convince the government to cancel the mining contract — and preserve Samar as a national park. So, beginning today, that's exactly what we're doing. Together with the Green Movement, we are going to show the Israeli government that the dunes are worth saving. Please sign the pledge to save the dunes and commit any amount — large or small — to help save the dunes. If together we're willing to commit one million shekels, we may save Samar. (Hebrew-language speakers can sign the pledge by clicking here.) The pledge is simply a commitment to donate later, when necessary. No money will be collected until the government agrees to let us buy Samar's development rights, but if you want to donate now, you can do so through the Green Zionist Alliance by designating your donation to the "GZA Samar Campaign." "There is really no reason to mine these dunes now, especially in light of their ecological significance," said Dr. Alon Tal, a co-founder of the Green Zionist Alliance and chairman of the Green Movement. And their ecological significance is great. Although the dunes are similar to those of the central Sahara, the Samar dunes possess one key element missing from the Sahara's dunes: Life. 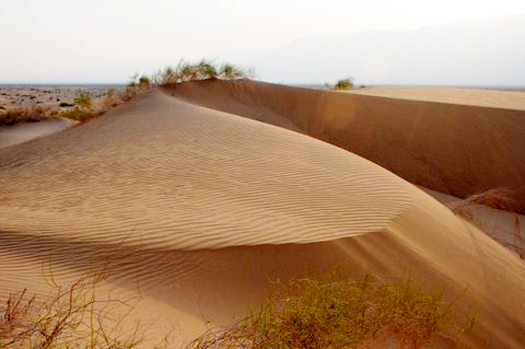 Plants and animals both live on Samar's dunes. At least two unique species of spider can't be found anywhere else in the world. 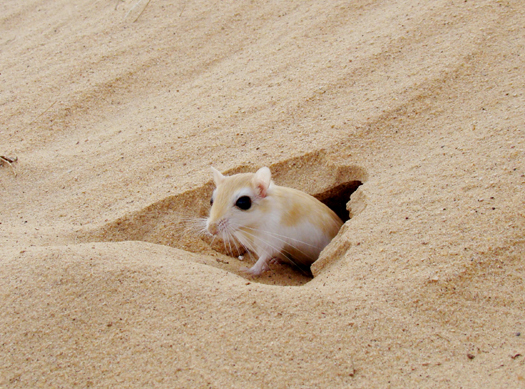 The Lesser Gerbil (pictured) thrives in Samar's shifting dunes. Hyenas, foxes, wolves, rabbits, warblers, snakes and geckos also call the Samar home. And these animals seem to have genetic variations that make them different from the same animals in other regions, David Lehrer, director of the Arava Institute, told The Jerusalem Post. Lehrer said that the dunes' isolated location, surrounded by different terrain, has caused the species to evolve differently. "This is an area that is certainly unique with endemic species that are specific to this area," Lehrer told The Post. "The animals that live on these sand dunes are like on an island." If we don't intervene, that island will be turned into concrete. The demand for sand is fueled by Eilat's growth, but mining the Samar sands isn't the answer. While the dunes would provide easily accessible sand, the mining of Samar would only represent a one-percent cost savings compared to alternative sand sources, according to the Green Movement. And since the total excavatable sand in Samar's dunes — estimated at between 500,000 and 1.8 million tons — only adds up to about one percent or less of Eilat's annual sand consumption of 150 million tons, Samar is literally a drop in Eilat's sand bucket. A better alternative would be to return to the areas of Samar's dunes that have been quarried already — and dig deeper. According to Tal, already developed sand mines in the Samar area could yield an additional 10 million tons of sand — far more than could be retrieved from Samar's remaining dunes. Eilat's further construction should not come at the cost of Samar's destruction. If we don't save Samar the dunes will be lost, becoming a memory in the sands of time. Please pledge to save Samar today — because together we can make a difference. And together we can save Samar.